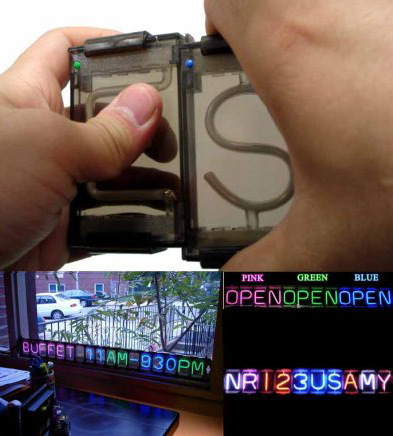 Here's a simplified way to snap yourself together a quick neon sign. Connect the first module to the $30 power supply, and string together whatever catchy phrase you wish in your choice of pink, green or blue letters or numbers. The result appears to be a bit crude, but then we know you can make up for that with your scintillating witticisms, spelled out in bright lights for all to see.